Free technology education for all! CFH offers free trainings in web and mobile development to students, businesses and government offices in Nosy Be, Madagascar. Tourists abound on the island of Nosy Be, but locally-owned businesses are often unable to draw clients. One reason for this is that many local business owners do not know how to make websites advertising their services. This leaves them at a competitive disadvantage with foreign corporations on the island, who use online professional advertising and web services to draw clientele. CFH aims to even the playing field by offering free trainings in technical skills. While Madagascar's technical education system is significantly lacking, CFH aims to bridge the gap between curious students and the path to technical proficiency. Our classes are group-oriented, forcing students to own the skills they learn and teach them to one another in teams in order to complete projects. Working with this methodology, our impact can be sustained, as each cohort of students transforms into a team of capable local teachers by the end of each training cycle. 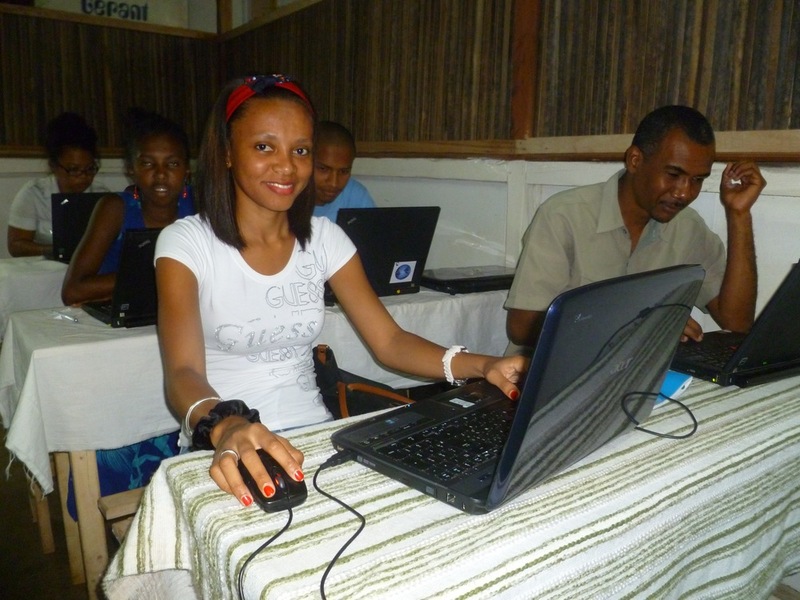 To date, Code for Humanity has run six distinct training cycles in Nosy Be, Madagascar. Some of our 50+ graduates have gone on to pursue higher education in technology, launch websites for their own entrepreneurial endeavors, and even become lead teachers for subsequent iterations of CFH courses. All of our trainings are free of charge, and have reached tour guide operators, officials in the Nosy Be Office of Tourism and scores of individual entrepreneurs. Questions? Comments? Want to donate or volunteer?